Easy to use automation tools. No programming or scripting required, graphical interface. Powerful, flexible, reliable and affordable. Run 1000+ tasks a day. Timely and Free technical support before and after you purchase. Automation Software for Windows, Mac OS X, Linux,Unix, and Android. Updates every 2-4 weeks for bug fixes and new features. Automize Enterprise users write scripts for custom tasks. Automation software for Mac OS X, Windows and Linux. Automize is the leader in multi-platform advanced task scheduling and automation software. Data encryption software designed for automation. 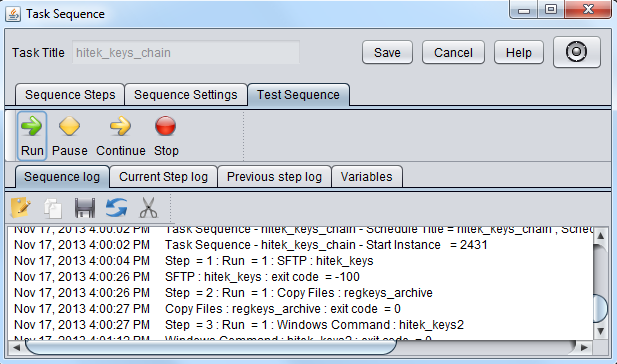 Automatically encrypt or decrypt, files and folders on a schedule. FTP,FTPS & SFTP. Designed with automation in mind, so you do not have to spend time interactively transferring files. 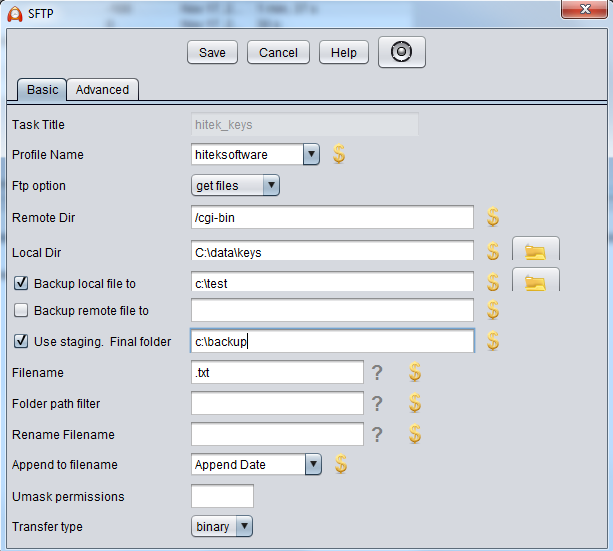 FTP and FTPS automation. Subset of JaSFTP for users who do not need SFTP support. Automation Software for Mac, Windows and Linux with exact same features. Copyright © 1999 - 2019 Hitek Software, LLC. All rights reserved.